Don't miss this bright, open, one bed and den, two bath, corner suite in Grandview Cascades! 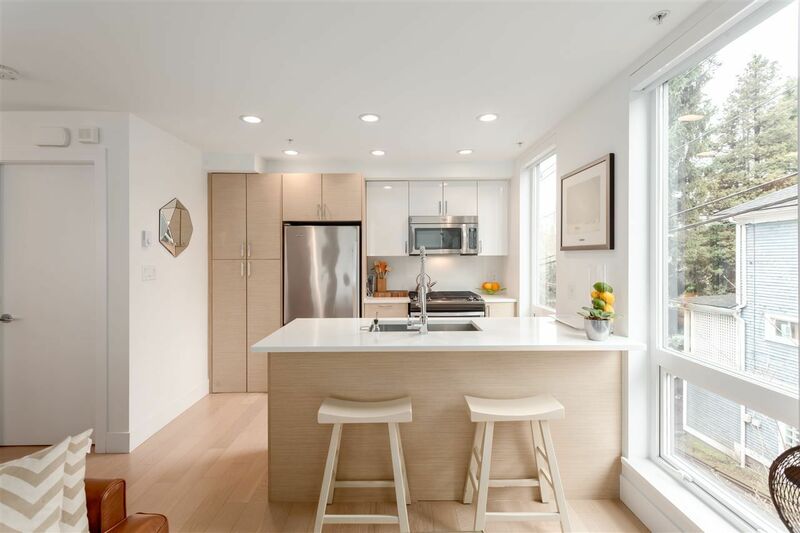 This well-laid out townhome is situated on the quiet side of the building, and features high end finishings and hardwood throughout. On the main floor you will find the living room with French doors leading out to a Juliet Balcony, dining room, a powder room and kitchen with gas range. Downstairs is the master bedroom, ensuite bath and an expansive 200 sqft, wrap-around private deck with partial City views, and gas and water hookups. This well-run complex is only two years young, and the suite comes with 1 parking and 1 locker. Pets & Rentals OK.